For many of us, voting is only a slight annoyance, but for millions of Americans, it’s extremely difficult to find time off from work and even find a ride to get to their local polling location. That’s why both Uber and Lyft are partnering with non-profit organizations to offer discounted rates to voters who would otherwise struggle to find a ride. In Lyft’s blog about its Ride To Vote initiative, it cited the Center for Information and Research on Civic Learning & Engagement’s (CIRCLE) estimate that 15 million registered voters failed to vote in 2016 due to transportation issues. That’s why Lyft and Uber will be targeting certain communities to incentivize their ride-hailing services to help get people to the polls this upcoming election day, which is Tuesday, Nov. 6. Mark it down. Lyft is partnering with organizations like Vote.org, Turbovote, Nonprofit Vote and others to offer 50 percent discounts on rides to polling stations, and it will also offer free rides to specific communities by partnering with nonprofits like the National Federation of the Blind, VoteLatino and Urban League affiliates. You can sign up with TurboVote via Buzzfeed for a 50-percent-off one-way ride code here, or check in with the other partnered organizations for more details. 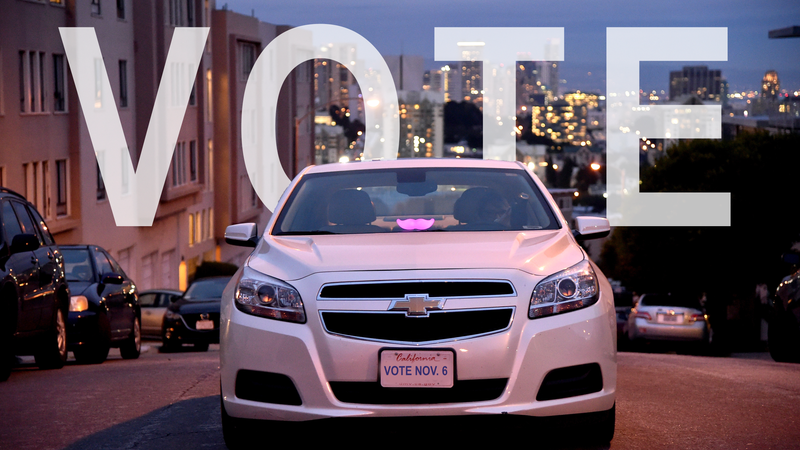 Lyft will also send out push notifications through its mobile app to remind users to make sure they are registered to vote. Both Lyft and Uber will also be rolling out mobile app features to help voters locate their local polling stations. Details on Lyft’s system aren’t yet clear, but Uber’s polling station locator will mostly target suburban communities not within walking distance to the polls, and will also be available to everyone in the U.S.
Uber is also partnering with VoteTogether and Democracy Works to offer free rides to polling stations only in certain communities Uber has determined have transportation challenges. Jalopnik reached out to Uber about which communities will be offered free rides and how users can redeem them and will update if we hear anything. So, while your ride to the polls may be 50 percent off, your ride back isn’t. But that’s still a savings of about 25 percent if you use the ride-hailing service to go vote, which is better than nothing. And you should go vote!